China’s manufacturing-cost advantage over the United States has shrunk to less than 5 percent. Among the countries losing ground, largely due to weak productivity growth, are Italy and Sweden. Four countries poised to become future manufacturing leaders within their regions are India, Indonesia, the Netherlands and the UK. The two countries called “rising global stars”—Mexico and, yes, the United States. Quality Management is critical to suppliers looking to increase business during times of capacity challenges and a record number of recalls. 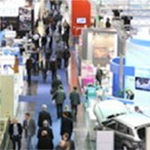 Read the LNS Research Report that demonstrates key approaches to closed-loop quality management to ensure automotive suppliers can meet their demands and stay competitive. Read the Report. 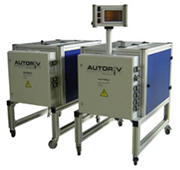 Need To Reduce Stock Lubrication Oil? 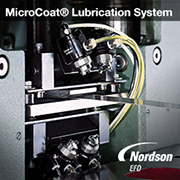 The Nordson EFD MicroCoat® non-contact lubrication system delivers up to 80% oil savings. Its Low-Volume, Low-Pressure (LVLP) technology helps metal stampers consistently apply a fine, evenly distributed mist - the precise amount of oil needed for each job. Watch this in action. When the unique capabilities of AM processes allow reduced part count, by increasing part complexity (GE’s much publicized fuel nozzle, for example, combining 19 machined parts into two AM parts). Progressive-to-transfer stamping is helping automakers and other OEM manufacturers optimize material utilization. 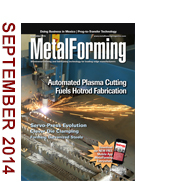 The dies prove particularly successful when stamping expensive aluminum alloys and high-strength steels. Along with a new 165-ton gap-frame press came a new approach to achieving quicker die changes, featuring magnetic clamps on the upper tools and mechanical clamps for the lowers. Results have been impressive. Customer Service Manager (NJ) / National Manufacturing Co., Inc.
Welding Instructor Trainer (CA) / Arc Machines, Inc.